Alice Racine (Noomi Rapace) lives a quiet life in London. Once the best interrogator in the CIA, Alice failed to unlock a prisoner in time to save the lives of several people, prompting her to leave the field and become a caseworker. When the CIA apprehends a suspect who is believed to have direct knowledge of an imminent terrorist attack, Alice is called in unexpectedly. She is successful in 'unlocking' the suspect but before she can fully pass it off to her superiors, she gets a call from her old colleague at Langley. Quickly realizing she has been set-up, she narrowly escapes, and finds herself on the run. Knowing the CIA has been compromised, Alice must turn to the few she can trust as she searches for those responsible and tries to prevent a deadly biological attack on the city. Unlocked was released on Blu-ray and DVD 520d ago in the US and the UK. Notify me when Unlocked is available. Based on 10 Unlocked reviews, Unlocked gets an average review score of 52. 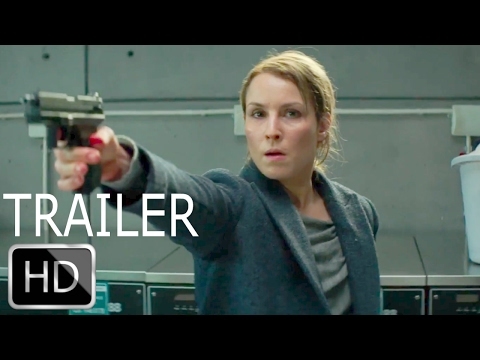 Noomi Rapace kicks, punches, plots in effort to save London. Anyone could be the turncoat in the too-twisty-by-half espionage thriller Unlocked. Years on from 'The Girl With the Dragon Tattoo,' Noomi Rapace is still ready for action, though this middling thriller lags behind her. You’re better off watching ‘Homeland’ reruns than ‘Unlocked’. Bourne meets The Fast Show, with a cockney accent.